On route N8 between Marseilles (40km.) 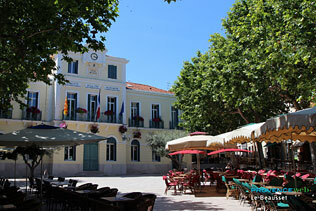 and Toulon (15km.). From Beausset-Vieux many fabulous views can be admired. Looking out from the chain of St. Baume and over the golf course of La Ciotat one can just perceive the sea. There are the canyons of Ollioules and the medieval villages of Castellet and La Cadière, the cultivated slopes and the valleys covered with olive trees. 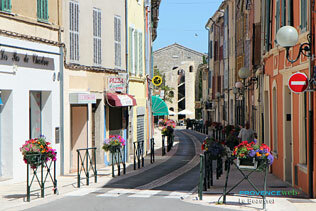 History lovers will be satisfied; there are many traces of the interesting past of old Beausset. There is a 12thc, Romanesque chapel where 80 votive offerings are exposed in thanks to Notre Darne du Beausset Vieux. Several important men stayed here such as Louis XIV and Napoleon Bonaparte. One can get to the Sanctuary by taking the old mule trail which is lined with oratories. 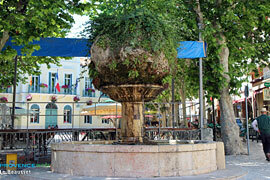 In 1506 Beausset Vieux was abandonned and the community was reinstalled on the top of the knoll where it remains. This part of town, although more recent, can hold its own in historical interest. 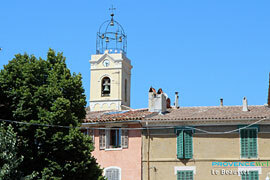 The city of Beausset has been classified as a station verte ( nature resort) and is well worth the detour. Visitors here will have a peaceful stay savouring the local olive oil and being protected by Notre Dame du Vieux Beausset. The St. Louis Oratory. The Romanesque chapel. The statue of Notre Dame. 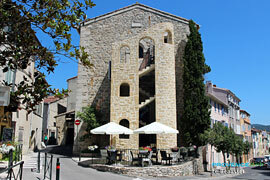 Evenos (8 km), Le Castellet (5 km), La Cadière (6 km) and Bandol (9 km).